Shaman drums, shaman rattles, shamanic singing and shamanic dance are some of the remedies that the shamans use in their spiritual and healing work. This accompanied by power animals, spirit helpers, and spiritual guides. The term “shaman” originates in Siberia. It describes a person who possesses the ability to perform soul journeys. Thereby he or she serves as a mediator between the tribe and the spirit world. The Lowerworld, where the shaman sought power, power objects, and power animals. The Middleworld which was where humans lived perceived through a shamanic state of mind. The Upperworld where the shaman could seek wisdom and visions concerning past, presence, and future. Some of the more well known ones are the American natives where the Medicine Man was the keeper of the balance between the people and the spirit world. As well as in the Eskimo cultures angákoq, necromancer who, with his drumming and singing could work himself to a state of ecstasy enabling him to perform spirit journeys. 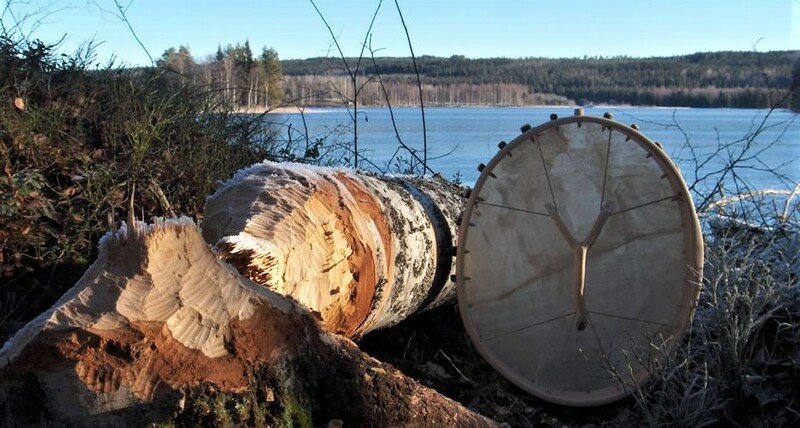 The Saami people and their noaide who with his runebom performed drum journeys, and the Nordic people where the volvas with her seidr gazed into the unknown. The use of for example shaman drums or rattles is a way for us to alter our state of mind and thereby approach power animals and spirit helpers. In shamanic practice today, here including shaman traveling, shamanic healing, ceremonies, and rituals the importance of these shamanic tools have been revived. In the effort to obtain better contact with our self, with our spirit guides and with nature around us.